We live in a world of shared agreements. It’s a world of illusion. But it’s only valuable because of a shared agreement, an agreement that we all have bought into – that a round white object that we have collectively agreed to call a pearl and that is large and perfect in shape and is luminous and not often found is valuable. In another culture, in another time, that same round white object might not be called a pearl, and might not be valuable. It might be regarded with indifference. It might still be rare, or it might be commonplace, but the culture at that time does not place a high value on it. Or the pearl which has no value? The world you live in. The time you live in. The agreements that you have struck, and share. 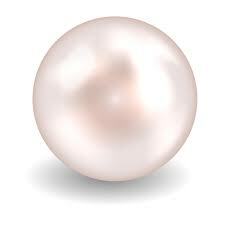 What is the real truth of the pearl? The real truth of the pearl is that it is neither valuable nor not valuable, it is an illusion, created by us collectively. Its value is only the value we invest in it, by a shared agreement. We agree collectively that a Mercedes Benz is a better car than a Ford Prius. We agree that a mansion by the sea is a better house than a shack in the woods. These are all agreements that we share, and have bought into, and that now define our lives – the way we live our lives – and the way we look at the world. They also define how we look at ourselves. How do we value ourselves? We value ourselves by saying “This is who I am. This is what I do. This is what I have created. This is what people say of me. This is how people see me.” We place a value on ourselves based on these agreements, some of which are inside us, some of which are outside us, but all are filtered through us. These agreements state that you are the person you think you are. That you are the person that does these things. That you are the person that has created these things. That you are the person that others know you by, that see you as they see you. But are you that person? You have created your world, and your self worth, based on these agreements that you have filtered through your ego, and from this you have created a personality based on those agreements which have morphed into belief. And in seeing yourself this way, in believing yourself to be this way, you have created two things – limitation and separation. You are limited by your agreement of who you are. In fact you are much much more than your limited agreement of who you are, but you cannot see that because of the limited view that you hold of yourself, based on your filtered beliefs. Your filtered beliefs also hold that you are separate from everyone else. You are separate from that other man, that other woman. As soon as you invoke separation, you invoke judgement. You are better than that other man because you have a Mercedes and he has a Ford Prius, and you know from prior agreement that a Mercedes is better than a Prius. You are not as good as that other woman because you live in a shack in the woods and she lives in a mansion by the sea, and you know from prior agreement that a shack in the woods is not as good as a mansion by the sea. Separation and judgement are the cause of all fear, hate, greed, conflict, pain, and suffering in this world. As soon as you begin to see the world as one, as yourself as being no different from anyone else – no better, no worse; as soon as you start to see the artificial value we place on things, then the sooner you will rid yourself of fear and pain and suffering. I, probably like many others, agree absolutely with what you are saying here. I can ponder and reflect these thoughts, even feel in my heart and soul exactly what you are saying. Living it day to day though, I haven’t yet achieved. That’s something that needs work. I think probably the stumbling blocks are fear and insecurity. And trust in the universe. Not sure I can, or want to make that leap. Interesting. Hi Deb, lovely to hear from you! And thank you for your honest and self effacing reply. I knew when I wrote this post that it would be a hard one for many to wrap their heads around, much less action! Living in the real world, being a human being, ain’t easy! But giving it thought, as you say you will do, allows the potential for movement, and movement precipitates change. So by even giving it some thought, you are triggering the intention to change, and the Universe can work with that! Just the mere intention, that’s enough. Thanks again for putting down your thoughts here. Mate, you never cease to amaze me with your wisdom. I am blessed to share your friendship. Good stuff — some basics of solid literary theory, and a crux of the classical Western philosophical arguments about ideals versus form. But careful, the Relativist position suggested can certainly not be viewed as an absolute, because whilst it’s a value judgment that a mansion by the sea is a better house than a shack in the woods — it is hard fact that material differences exist to differentiate mansions from shacks, and the sea from the woods, and this sea from that one. Our sense of the uniqueness of each thing in its own form is BTW under constant assault from the homogenization of our industrial products, so that we tend to see a Mercedes Benz car as identical to every other car of the same model, and we see all tennis balls, iPhones, cans of Coke Zero, or whatever, as identical to each other, instead of seeing each in its unicity and identity. There’s a false inclusion as well as a false separation in the illusion of our common worldviews, and whilst the commonality is essential to us as Culture, individuality and identity are essential to us at our core. As the Buddhists say, the jewel is in the lotus. This same individuality at the core of commonality is also at the heart of the individual Eucharistic Communion within the Catholic Mass, and it is central to many practices and foci of Christian Mysticism. If I’d been able to do my doctorate, BTW, these questions you’ve raised Bill would have been central to it ; its subtitle would have been “Culture and Identity”. Hi Julian, many thanks for these considered and, again, well informed views. I actually conservative this to be one of the most important posts I’ve put on this blog. And I’m surprised it hasn’t received more comment. Perhaps because the views expressed are so difficult to assimilate into everyday thinking. I’ve yet to g St to your earlier comments – I’m sorry about that – but it’s Sunday afternoon here and the Swans are playing (and leading!) and so my world stops! Such a shame you didn’t continue with your doctorate. Is there a chance you can pick it up again? This is something my eldest brother and I have discussed. The way our upbringing has shaped our views of ourselves is quite limiting. If we could break these shackles off there would be no end to what we could achieve. That’s your purpose in this lifetime Donna. You know, as Jennifer has said, that we choose our parents for the lessons we need to learn. Sometimes those lessons come in a negative form. For instance, and these is specious, I know, but both my parents smoked heavily as I was growing up. Consequently I have never smoked!! haha. Be careful with this — even though we are spiritual beings, we live in this world of things, and this includes the structures of our rationality, which have our upbringing and our worldview at their core. Instead of seeing them as “shackles”, try to look at them as tools. The notion that “there would be no end to what we could achieve” is also an illusion, to use Bill’s terminology in the thread, because material and mental contingency do not cease to simultaneously create, shape, and limit our true potential and our nature simply because we have seen and understood them. It’s among the most dangerous illusions of them all, really, because a desire to surpass one’s nature amounts to an attempt to destroy the self, which can sadly lead those attempting it towards suicide. Attempting to transcend false perceptions and non-existent limitations that we or others have sought to impose on us is of course a different matter, and that is where true freedom should be looked for. The great mystics generally teach that true freedom comes from understanding, which means seeing and accepting our reality for what it is, not trying to make it into what it is not, for with that understanding comes a true desire that is within our nature to be fulfilled, not a false desire that others try and convince us to achieve. This is true of all traditions of mysticism East and West, whether Christian, or Buddhist, or Native American, or any. A serious danger exists however in modern Western culture, because it has spent decades seeking to destroy its own foundations, by replacing the constant with the transient, the solid with the vague, cultural tradition with non-stop innovations, so that we have a tendency towards confusions and a sense of loss that many of us have forgotten how to fill, because of the rampant destructions that have been brought against our native Western Christian tradition of spirituality and against our native customs, which from a source of stability and peace have been turned into frenzy, constant revolutions, and a universal promotion of narcissism. And so far too many among us, looking on this with horror, either start seeking elsewhere what they should start by seeking within, or simply “switch off” and content themselves with the rat race. The proper tools for peace within this frenzy of modern life are not best looked for in another culture, but within the very heart of our own culture and by accepting our worldviews for what they are, lucidly, honestly, then looking into the core of what and Who they signify, not turning away from them simply because of the modern teaching to despise Christianity. That teaching too is an illusion.